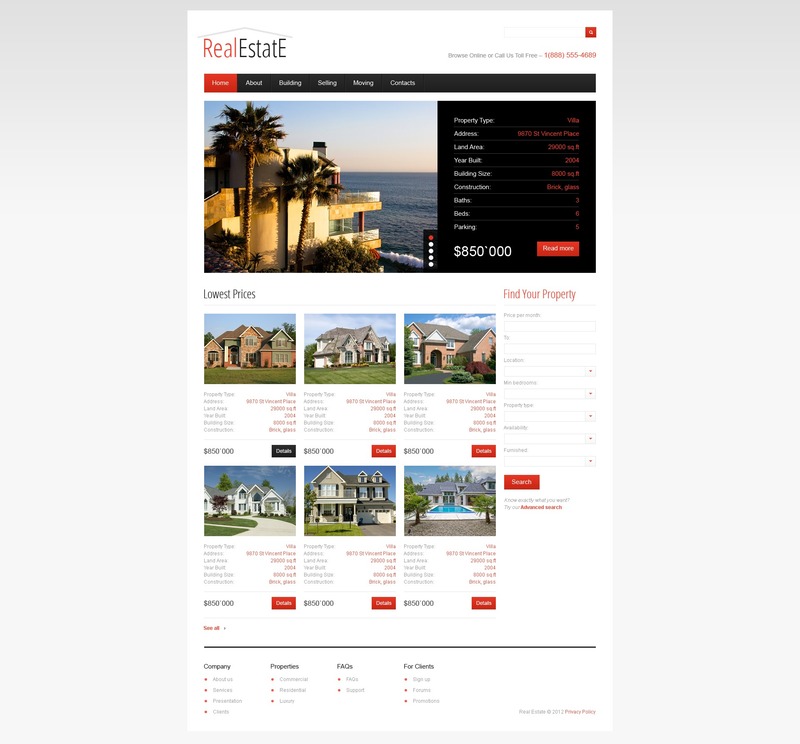 We understand that a decent website for Real Estate Company should have certain functional features. First of all, properties are supplied with prices and detailed descriptions. Property search form is in the right sidebar. Red call-to-action buttons stimulate visitors' activity. Subsidiary menu is provided in the footer.